Agents have played an integral part in Universal Orlando Resort’s accelerated growth over the past decade, and now the company is taking its commitment to the agent community a step further. For the first time, travel agents will be able to complete a self-paced online training program to achieve status as a certified Universal Orlando Resort Specialist at the company’s all-new travel agent website, UniversalTravelAgents.com. 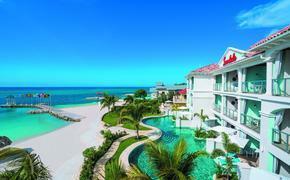 Travel agents will find a robust array of vacation options at their disposal to sell to their clients. In the past five years alone, Universal Orlando has introduced 18 new attractions and resorts, including the enormously popular Wizarding World of Harry Potter and the Loews Cabana Bay Beach Resort. The online training program is just one element of the new travel agent site. Travel professionals will be able to obtain real-time ticketing and packaging information as well as customizable marketing and sales materials, They will also be able to download such digital materials as Universal Orlando’s 2016 Destination Reference Guide and resort fact sheets. The site will also feature e-newsletters with information on attractions and resort updates to help agents apprise their clients of the latest Universal offerings. Additionally, the site will enable agents to plan their own fam trips to Universal. While Belzer believes that the new website represents a bold new step in solidifying the company’s relationship with the travel agent community, he emphasizes that it is not meant to replace in-person training. Universal is also looking into creating an elevated commission and rewards program for Certified Resort Specialists, Belzer says. It currently offers 10 percent commission on all vacation packages and commissions of up to 10 percent on vacation add-ons. Agents can create user accounts by visiting and registering at UniversalTravelAgents.com. Agents who are already registered with Universal Orlando are encouraged to re-register on the site. This year, Universal Orlando Resort will unveil two of its most ambitious projects to date, the 1,000-room Loews Sapphire Falls Resort and Skull Island: Reign of Kong. Sandwiched between the Cabana Bay Beach Resort and Royal Pacific Resort, Sapphire Falls will offer water taxis and early admission passes to the parks. Its portfolio of accommodations will include 83 suites. The Caribbean-themed resort will be set amid a tropical-style lagoon and waterfall. Food and beverage options will include Amatista Steakhouse, with an open exhibition kitchen and elevated outdoor dining lanai overlooking the lagoon; a lobby lounge; the Strong Water Tavern, featuring a tapas-style menu and views of the resort’s waterfalls; a poolside bar and grill; and a grab-and-go venue. 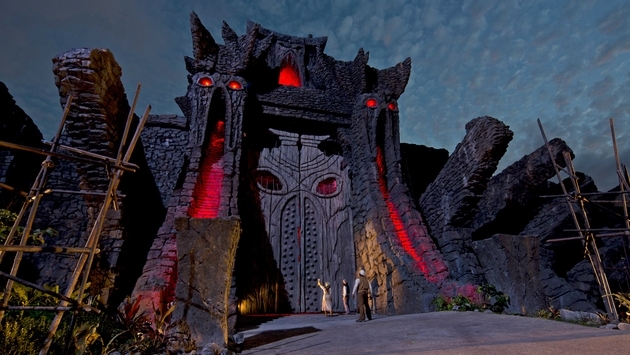 At Skull Island: Reign of Kong (pictured above), which is set in the Islands of Adventures theme park, visitors will embark on a multi-sensory journey in open-sided trucks on an expedition to find the beast. Stone structures surround a 72-foot wall that is the gateway to the interior part of the indoor/outdoor attraction. Universal officials say the duration of the ride is among the longest of any of its attractions. In 2017, Universal Orlando will unveil the Fast & Furious: Supercharged ride and the 30-acre Volcano Bay waterpark. Fast & Furious is an immersive ride that brings to life the underground racing world based on the “The Fast and the Furious” films. Universal Orlando’s third theme park, Volcano Bay, will feature an enormous volcano, water slides, a lazy river and a rapids ride. In addition to Cabana Bay, Royal Pacific and the soon-to-debut Sapphire Falls, Universal Orlando is also home to Loews Portofino Bay Hotel and the Hard Rock Hotel. A version of this article appears in print in the June 2016 issue of Agent@Home Magazine.